WASHINGTON — If apple picking is on your fall to-do list, now is the time to check it off. “Don’t wait until you are pumpkin-patching because you’ll probably find a lot of rotten apples at that point,” said Guiomar Ochoa, a parenting and travel writer for Red Tricycle. In the D.C. area, the season for many popular varieties runs from late August to mid-October. And at nearby farms and orchards, apple season comes with an excuse to cook festive foods and host lively activities for kids — and adults — of all ages. “It’s just a nice way to get your family out in the country. A lot of these farms are not that far from the D.C. area, so even if you live in the city, you’re only going out about an hour or so, if that,” Ochoa added. Whether you’re planning a quick outing or a long day in the orchard, Ochoa shares some of her best picks on where to find fruit and fun this fall. Nestled among the rolling hills of Bluemont, Virginia, is Great Country Farms — a 400-acre family-run operation that takes apple season very seriously. “Apple picking is like a competitive sport at Great Country Farms,” Ochoa said. Weekend admission to the orchard is $10/child and $12/adult (you can save a few bucks by going during the week), and pick-your-own apples are $1.99 a pound. 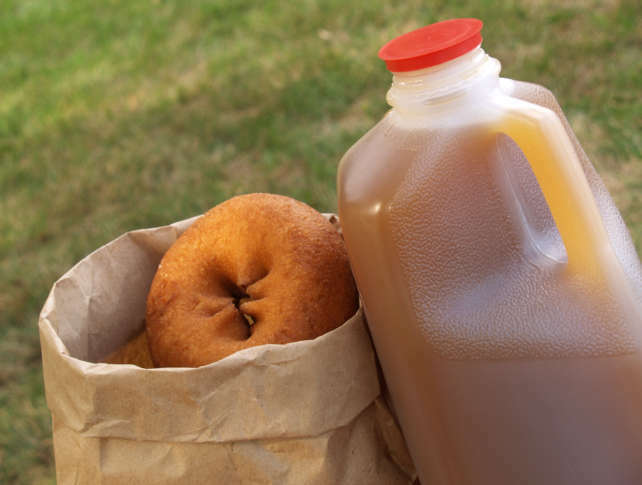 Wagon rides take visitors to and from the fields, and the farm’s famous cider doughnuts are available Tuesday through Sunday.